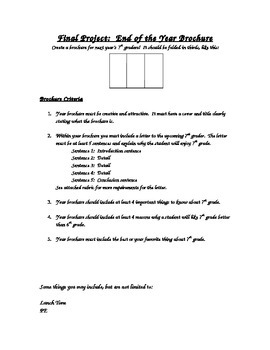 This is a writing project to be used at the end of the year. The students think about the grade they just completed and create a brochure for the upcoming students as to why their grade was awesome! 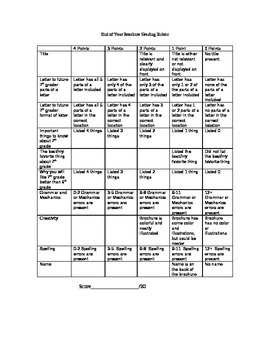 There are directions, a rough draft template, and a rubric included. Enjoy!